CARS TURNED IN LATE WILL BE ALLOWED TO RACE BUT DISQUALIFIED FROM ALL DESIGN TROPHIES, TROPHY RACES AND THE DISTRICT RACE. The Scout is not needed for registration. You can arrange for someone else to register your car if necessary. SCOUTS MUST BE PRESENT TO RACE. Scouts will be able to name their cars. Before the cars are impounded, scouts will be able to test their cars on the track from 5pm - 8pm. CLASS A UNIFORMS ARE MANDITORY TO RACE - blue shirt, neckerchief and slide. Belt and hat are optional. Uniform inspection will be performed before each race. If a Scout does not pass uniform inspection will be allowed to race but disqualified from all trophies and advancing to Districts. The top 3 winners in each rank will advance to the Many Waters District Race April 25th, 2015. 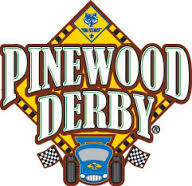 A number of Pack 151's families have competed and won numerous Pack, District and Council Pinewood Derbies. Helpful dads have offered to share their heated garage, tools, expertise and hints with you. They invite you to join them during Pack 151's Pinewood Derby Workshops. 6121 Goodview Trail Ct. N.
Please RSVP Jeff McLean at jjkbmclean@q.com with date you would like to come. *PLEASE MAKE SURE YOU UNDERSTAND THE RULES AND WHAT IS LEGAL BEFORE YOU BUY FROM THESE SITES. Official Race Rules: Pack 151 will use the same rules as the Many Waters District and Northern Star Council races. Please email Pack 151's Pinewood Derby Chair, Jeff McLean at jjkbmclean@q.com with your Pinewood Derby questions.